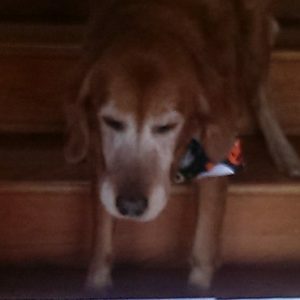 Sierra, a friendly 13-year-old Golden Retriever, went missing from her home in Long Lake, Minnesota. The family reported that she had been acting oddly after supper, running at the front door and hiding under the table. When let out for a potty break, she bolted from the yard—this from a dog who never wanted to be away from her people and could barely finish a walk around the block. Normally, the Retrievers don’t put “boots on the ground” until a lost dog’s whereabouts are known and trapping is required. But this case had me worried. Did Sierra experience some kind of adverse food-related event? Gastric torsion? Obstruction? A toxin? Did she have a behavioral seizure? 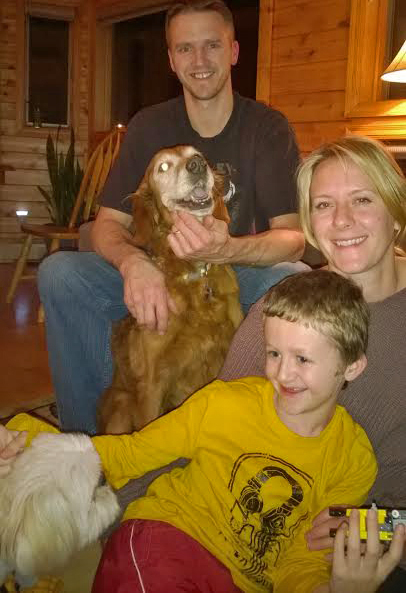 By the time we learned about her on the Lost Dogs – MN Facebook page, Sierra had been gone for more than a day. Was she dying under some shrub? Was she already dead? Like many of my teammates, I own a Golden Retriever and have a soft spot for the breed. I couldn’t not respond to the news of a missing white-faced senior. When I asked if any teammates wanted to help me with a ground search, Retrievers Karie Daudt and Niki Taylor volunteered. We met up with Sierra’s owner, Maggie, who told us she had flyered the block, talked with the neighbors and searched the family’s acreage. The four of us searched again, looking under every low-hanging tree, between fallen logs, in the neighbors’ outbuildings and any place we could imagine a dog might wander off to die. After finding no sign of Sierra, we had to call it quits. Sierra wasn’t in the immediate area, so perhaps she wasn’t sick at all. Perhaps she was just further away, in which case the most pressing need was awareness. 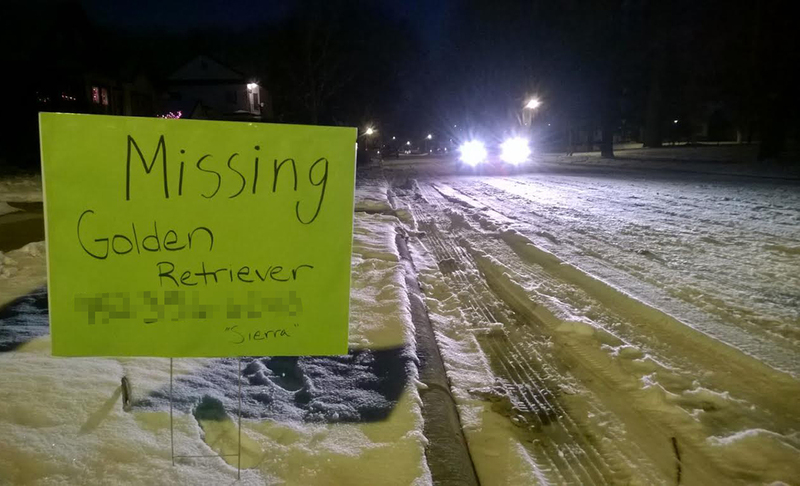 Karie happened to have four “Lost Golden Retriever” signs in her car from a previous search. They displayed the Retrievers’ phone number, so we figured why not use them? As Karie was placing one of the signs, a car stopped and a man told her he’d seen Sierra the morning before. She was moseying around his front lawn, as if she didn’t have a care in the world. Now that we knew Sierra was alive and well, the strategy shifted from ground searching to awareness-building. We advised the family to put out more intersection signs—bright green ones to match the four that we had already placed. Soon came more sighting reports. Apparently a lot of people had seen Sierra—sometimes ambling down the middle of a street. On the sixth day after Sierra went missing, she was easily caught by Good Samaritans about a mile south of her home. Here’s Sierra, happy to be back at home with her family. It’s now believed that her odd behavior the night she bolted was due to dementia. She was the canine equivalent of an Alzheimers walkaway. Ironically, the Good Samaritans who captured Sierra had spotted her the day before. But they didn’t know she was a lost dog until they saw one of the bright “Missing Golden Retriever” signs. Use the same color for all your signs, and place them at major intersections in your search area. As you get confirmed sightings, you can move them closer to the dog’s location. Mark the sign locations on a map so you can remove them after the search. 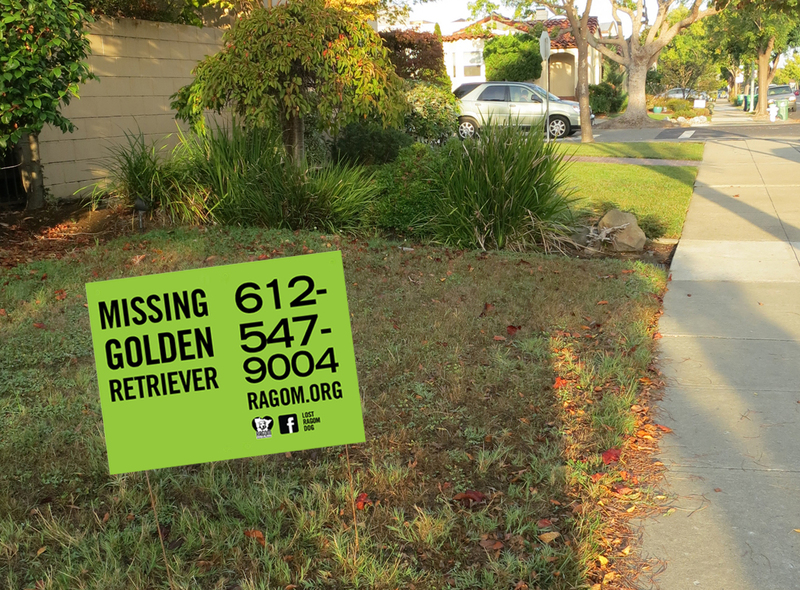 If you volunteer for a breed rescue, we highly recommend you purchase 15-20 custom yard signs to have on hand in case one of your dogs goes missing. 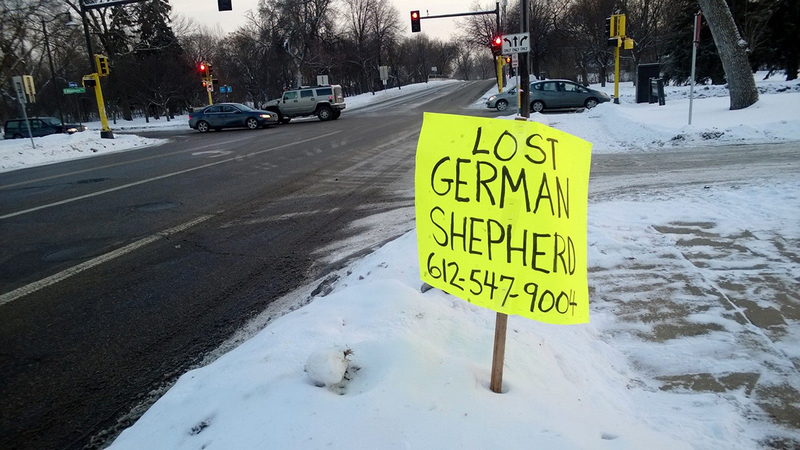 No photo necessary—just a simple description: “Lost Great Dane” and your phone number. There are many online vendors competing with low-cost Coroplast yard signs. Get the biggest size you can afford. If you foster many different breeds of dogs, then just have poster board, stakes and markers ready. Use the simplest words possible to describe the dog, for example: “Lost Small Black Dog.” The fewer words, the better. Make sure the text is big enough for someone to read as they’re driving by. And save the used signs for next time.